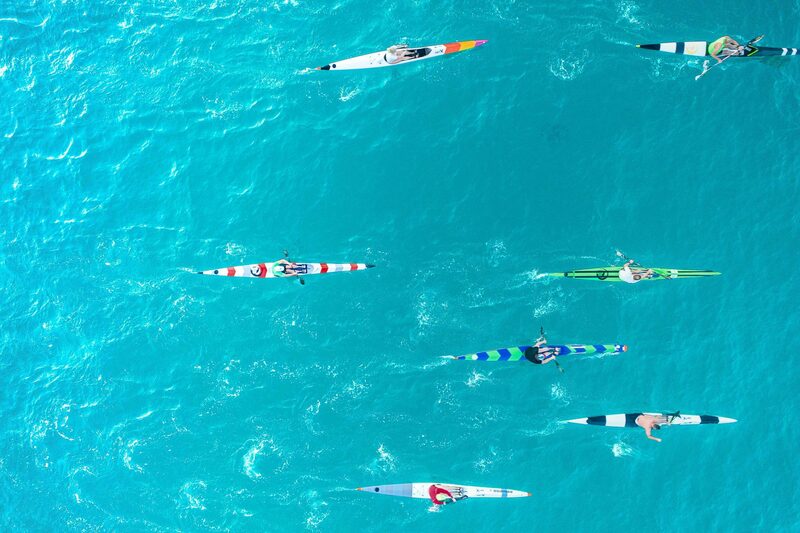 We’re two weeks out from the 20 Beaches Ocean Classic, Sydney’s iconic ocean paddling race. Take 3 have partnered with 20 Beaches Foundation to raise awareness of ocean pollution at this year’s event. Are you registered and ready to race!? “We’re thrilled to be partnering with the 20 Beaches Ocean Classic to help bring awareness to the Take 3 message and raise important funds to help us in our mission to reduce global plastic pollution.” – Tim Silverwood, Take 3 Co-Founder & CEO. Take 3 and 20 Beaches have put together a cheat-sheet to make sure you’ll be in top form on the day. Hydrate well the day before, the morning of and during the race! During December can be very hot in Sydney so a 20km paddle will require hydration throughout the race. Paddlers generally carry a bladder in their PFDs to drink while paddling. Know the Course. If you don’t know Sydney’s Northern Beaches very well, you should familiarise yourself with the coastline prior to the race. Knowledge of the location of Newport Reef and various headlands could significantly help your race if utilised correctly. Also know where a few of the bommies are located so you don’t get caught out! Warm Up to ensure a good race start. You certainly can’t win a race like this from the start, but you can definitely lose it. Make sure you warm up in order to have a strong start and make sure you are paddling with the pack closest to your ability so you can utilise wash riding as much as possible. Skills, and decisions! The coastline of Sydney’s Northern Beaches is extremely unique, and depending on the conditions on the day, the straightest line might not always be the fastest. Don’t be afraid to choose your own line to utilise the bumps off the headlands or the reef. Celebrate with us at the afterparty at The Bavarian in Manly, it’s an event not to be missed with over $50,000 in giveaways to be won! A lot of effort has gone into putting on a fantastic event in Manly after the race so make you sure get there to enjoy a well earned beverage and celebrate responsibly with your mates. BONUS TAKE 3 CERTIFIED TIP: Don’t forget your single-use plastic free alternatives. We’re talking a sturdy beach bag, reusable water bottle, pre-prepared food and of course your reusable coffee cup. Let’s leave no trace after this wonderful event #Take3forthesea. See you on 15th December, team! Next PostBlack Friday is out. Giving Tuesday is in.